Alex B. Leath is a partner in the firm’s Economic Development Practice Group and the Tax Practice Group. Since 1990, Alex has been involved in a significant number of the major economic development projects in the Southeast. As a result, he is one of the most trusted economic development attorneys in the region. Leading companies regularly seek him out for counsel on their relocation and site-selection matters, knowing his broad experience will serve them well. Alex has extensive experience working with the automotive industry. He began his career working on behalf of the State of Alabama in the site-selection and incentive negotiation process for the Mercedes-Benz facility in Vance. More recently, Alex was selected by Volkswagen Group of America to represent that company in its site selection process for its U.S. manufacturing headquarters. He assisted Volkswagen in evaluating sites in Alabama, Michigan and Tennessee and represented the company in its incentive negotiations with the three finalists, leading to the selection of Chattanooga, TN for the proposed facility. Alex also represented Canadian company Electrovaya, Inc. in its search to locate a state of the art manufacturing facility for its lithium ion battery platform used in the automotive and utility industries. After a lengthy selection process, the company selected Knoxville, Tennessee as the site for the facility. In addition to his extensive work for the automotive industry, Alex has broad experience representing companies from a variety of sectors. 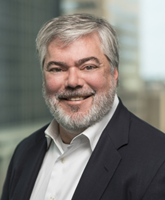 During the past two years alone, he has served as the lawyer on site selection teams for Cadence Bank, Dollar General, Hibbett Sports, Carpenter Technology Corporation, Golden Dragon Precision Copper Tubing, Southern Company Services and Roxul, among others. In his work with clients, Alex provides and oversees a full range of legal services, including the implementation of project incentives as well counsel regarding immigration, tax, corporate, real estate and environmental permitting issues.